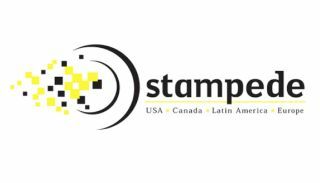 Stampede is set to bring its Big Book of AV Tour & Conference Series to Toronto, Canada on October 20, giving AV resellers and their customers in the Greater Toronto metropolitan are opportunity to experience the latest in commercial AV, drones, IoT, and unified communications. The event will be held at the SpringHill Suites by Marriott Toronto Vaughan. According to Kelly, the daylong conference is designed to provide industry insights, technology updates, and training forums for the totality of a reseller’s business needs and will feature the latest technologies for audio, video, display, projection, lighting and staging, digital signage, conferencing, digital content creation, networking, signal distribution, and much more. The day will begin at 10:00 a.m. with the Stampede Tech Showcase that brings attendees and manufacturers together in an exhibition environment and allows manufacturers to present and demonstrate their latest product, systems, and services. A complimentary breakfast will be available throughout the Stampede Tech Showcase. Each event includes exhibits, training sessions, product introductions, and networking opportunities. Participating exhibitors include AEE, Atlona, AVTEQ, Casio, Chief, Christie, dji, DisplayTen, Epson, FireFX, Hitachi, HuddleCamHD, Jelco, Just Lamps, Ken-a-Vision, LG Business Solutions, Luidia, Lumens, Luxul, Mustang, NEC, Oklahoma Sound, Optoma, Peerless, Philips, Planar, Premier Mounts, revolabs, Samsung, Sharp, Stampede University, Stewart Filmscreen, TAG Global Systems, TAP-it, TSI Touch, Unmanned Vehicle University, Vidyo, wePresent, Wilson Pro, and Yamaha Commercial Audio. Exhibitors may vary based on location.